Church leadership is such an awesome and sobering responsibility and should be conducted with reverential humility. Those seeking status or privilege by becoming church leaders need to know that the Chief Shepherd, when he comes in his glory, will deal harshly with anyone who has abused God's people or misused this incredibly important trust, while generously rewarding those who are faithful. 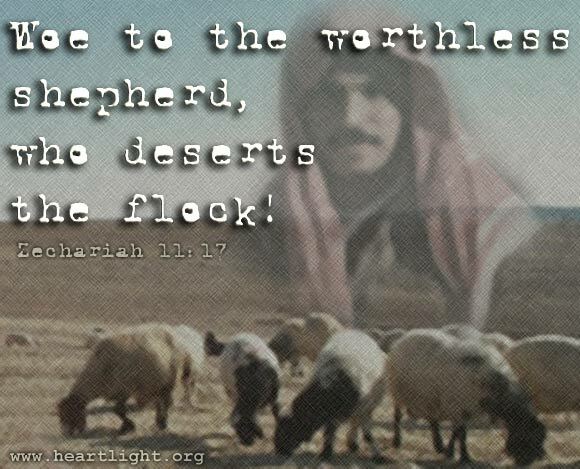 Loving Shepherd, please bless your church with qualified shepherds who love you and passionately care for your sheep and please give these faithful leaders a sense of your nearness and your pleasure as they faithfully carry out their responsibilities to you and to your sheep. In the name of Jesus, your Lamb that was slain for our sins, I pray. Amen.